The heart of Woodinville, Washington's wine country located just outside of Seattle, is where you'll find the amazing 21 Acres farm and center. When I first heard of 21 Acres from my friend Vicky at Stasty.com, I assumed it was another sustainable farm doing great things for the environment and the community. But I soon found that what they do is so much more. In fact, it blew me away! With a farm, school, market, kitchen, and event center, the non-profit organization operating in a state-of-the-art green building is preserving our region's agricultural heritage; providing organic foods to restaurants, childcare centers, local hospitals, and markets; educating the public through cooking, farming and gardening classes; and that's just scratching the surface of what they do and offer! On a recent trip out to 21 Acres I found I wanted to quit my job running Foodista to hang out every day with the wonderful people that run the center. Their passion for what they do is that palpable and inspiring. I joined Vicky and Robin Crowder (Marketing and Development Director) in the beautiful market where they sell their produce as well as artisanal food products from their kitchen and other local producers. Then off we went for a tour of the farm, 18 acres designed with permaculture principles, a type of ecological and environmental design that develops and supports sustainable and self-maintaining agriculture. In a nutshell, an "eco-friendly approach to design that will yield a more sustainable natural habitat," as the center puts it. 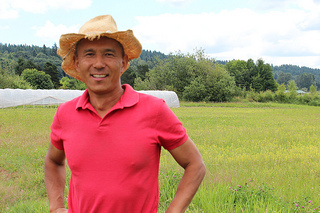 We met John Eizuka, 21 Acres' farm manager, who walked me through how, where, and what they plant. John studied acting at UC Davis but has been farming in the region for the last decade. As with acting, farming requires one to be observant, flexible and have intuition. Of course, there's also a lot of science involved in farming and John taught me some of his all-natural pesticide/repellant treatments, such as simply planting sunflowers with corn to deter certain insects. Now I know why my grandfather's rows of corn were always beautifully adorned with sunflowers! Root worms killing your cucumbers? Mix 1 cup sugar to 1 gallon water and pour over plants. Are flea beetles attacking your baby tomato plants? Simply sprinkle powdered cat nip flakes over the plants to repel the critters. The kitchen is where I truly fell in love - both with the food they are creating and Chef Emily Moore and her staff. I wanted to throw a sleeping bag in the corner of the kitchen and talk food and food science all night with the kitchen crew. There was a whirlwind of ingenious creativity that was abuzz and I didn't want to miss a thing. It's part test kitchen, school, caterer, and food producer (products can be purchased in the downstairs market), and as Emily put it, "we make the thing that makes the thing that makes the thing." What does that mean, you ask? Everything is done by scratch. In fact, the kitchen doesn't even own a can opener! They strive to be virtually zero waste which is befitting of Emily's "never throw away flavor" motto, so when an intern accidentally cooked the kale chips too long they ground them into a powder to use as a flavoring for soups and such. That's just one of the "how can we not waste this food and instead, turn it into something delicious?" creative challenges they solve daily. 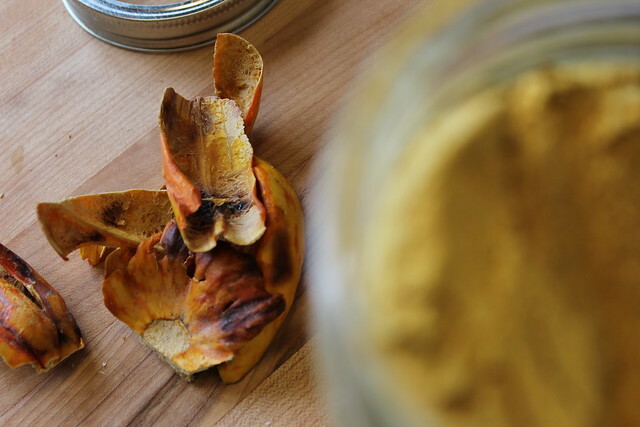 As a result of those burnt chips, they're dehydrating the often-composted stems, skins and leaves of fruits and vegetables, then grinding them up to use as colorants and flavorings. 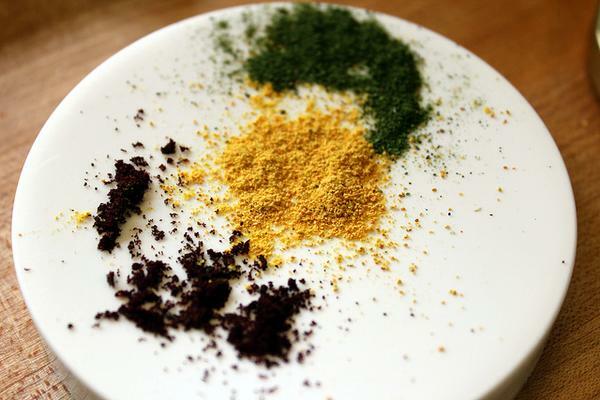 I'm now doing this at home with my own dehydrator and coffee grinder. 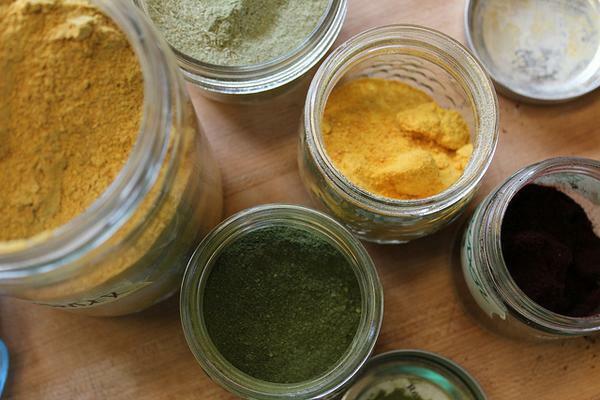 TIP: dry and grind some of these umami flavor boosters (and vibrant colorants!) and add to soups or sprinkle over salad or fresh/roasted vegetables. 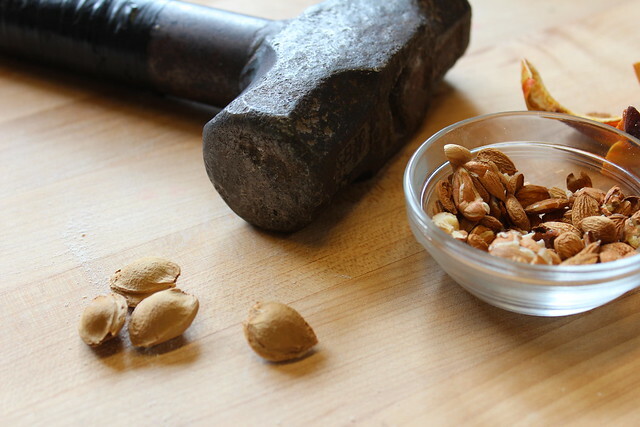 If the kitchen can't source an organic item locally, they either make it or find it as close to Woodinville as possible. For example, there are no lemons in the kitchen as citrus isn't grown in the Pacific Northwest, so they use their own house-made vinegar or rhubarb. Organic olive oil is also not produced in the area so they sourced the closest thing to it, organic camelina oil (high in vitamins E and D, omega-3), from Old World Oils in Eastern Washington. Some of the many delicacies the kitchen was working on during my visit were byproducts of the huge apple shipment they received (apple butter and cider vinegar to name just two). After juicing the apples, the pulp (including the stems, seeds, skins and cores) are stewed with honey, sugar, an acid (such as vinegar), and herbs and spices such as cardamom and thyme, then reduced into a luscious apple butter. Jars of the different variations sat atop the counter alongside batches of cider in various stages of fermentation. 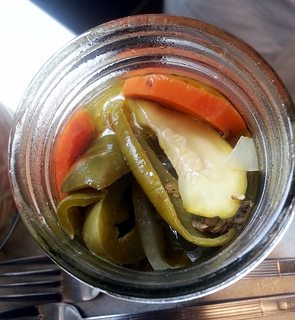 Which begged the question, do you ferment a lot of things? And off Emily and I went on a culinary tour of everything else the kitchen ferments: kimchi, koji (inoculated rice that's a key ingredient in the making of miso and soy sauce), pickles, and a plethora of other foods. Yes, it's time consuming and takes great effort to create everything from scratch, but that's the way things were done for centuries until the industrial age. While we may not have the time to create foods and meals like the ones coming out of the 21 Acres kitchen, we can support those working hard in the local food and sustainable living industries by buying local. Even making small changes at home can make a difference in our health and our pocket books (waste not, want not!). Little by little, we can all live a more sustainable life, and places like 21 Acres can show us how. After nearly 3 hours of local farm life bliss, I walked happily to my car carrying a basket under each arm of local artisan food items and produce from their fields, and a selection of better-than-grandma-made gourmet foods. The kitchen put together a selection of house-smoked ham, chocolate cookies, the most yellow butter I've ever seen (below), veggie powders, an almost-too-pretty-to-eat vegetable tart, and so much more. No, 21 Acres is not just another organic and sustainable farm. It's where great people are doing great things to make our world a better place. And they're doing it on 21 small acres. 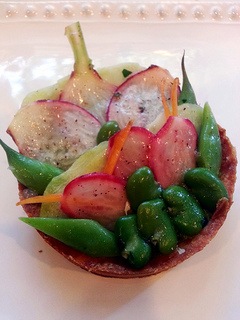 Courses and classes focused on growing, eating and living sustainably. 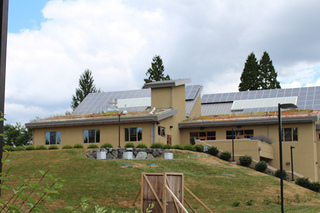 *Check out the August kids' summer camp with Seattle Tilth! 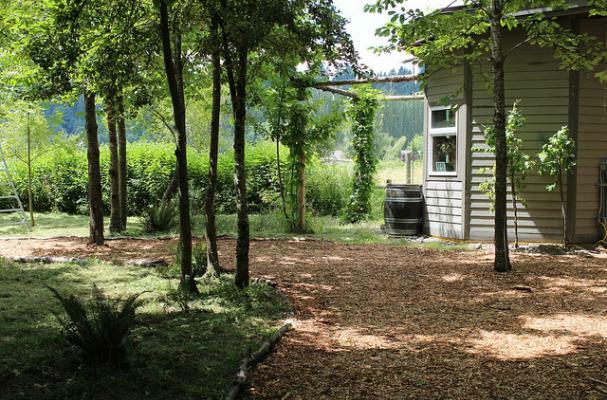 Certified organic acreage producing food for the 21 Acres Kitchen, Market and community. Commercial kitchen for classes, rentals and value-added production. 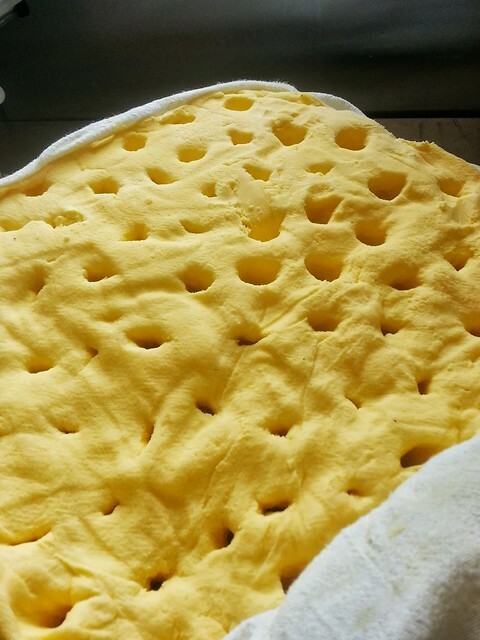 *Have a food product you want to produce in a certified organic kitchen? You can do it at 21 Acres! 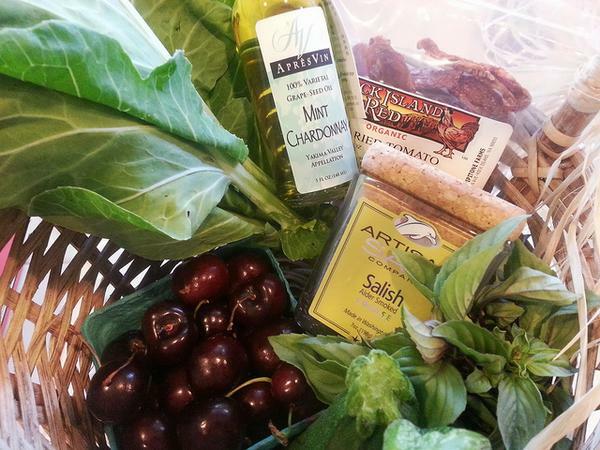 Selling certified organic and pesticide-free local farm products. Support to help people move toward more sustainable lives. Memorable location for programs, meeting and celebrations. Leading edge sustainable design with advanced monitoring systems. Aggregation and distribution center for local farm product to institutional buyers, low-income childcare centers, senior congregate meal sites, restaurants and caterers. 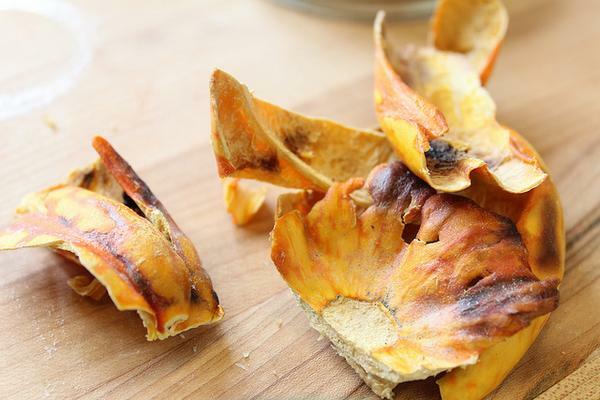 Dried pumpkin skin which is then ground to make a flavorful and colorful powder. 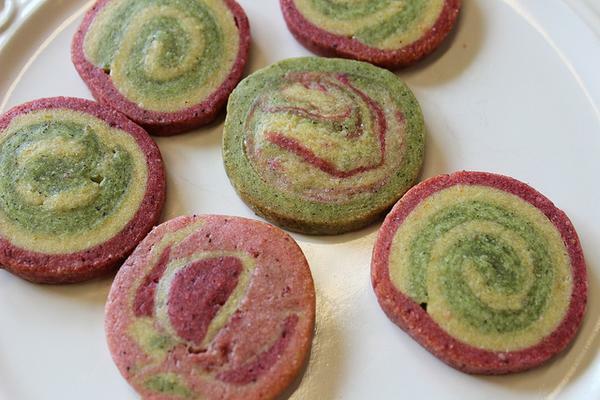 Sweet shortbread colored with vegetable powders. 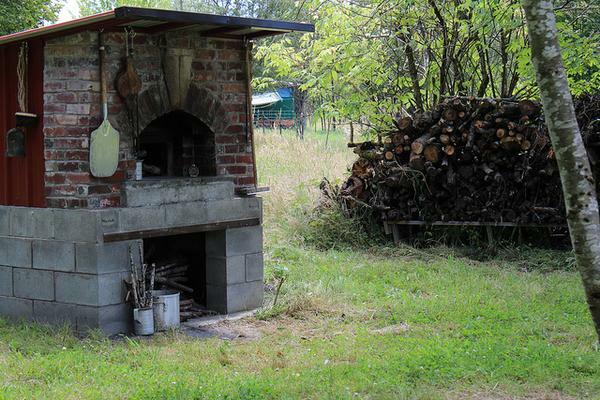 The farm's custom-built wood fire oven.